Electrolytes are fundamental for healthy cellular processes and, without them, we would really suffer. This is no different for horses; in fact, electrolyte deficiencies are heightened in horses because they sweat such considerable amounts during exercise, especially in hot weather. If the electrolytes aren’t replaced, a horse can quickly become dehydrated and listless, with severe dehydration even damaging its internal organs. But what are electrolytes and why are they so important? Electrolytes are minerals like salts that dissolve in the blood and tissues of the body. Their primary function is to maintain the body’s fluid balance in cells and preserve various functions. Every day at rest, horses lose electrolytes through urine, faeces, breathing and sweating, which must be replaced in order to sustain these essential processes. After water, electrolytes are the most plentiful compound in the body, so their importance shouldn’t be underestimated. 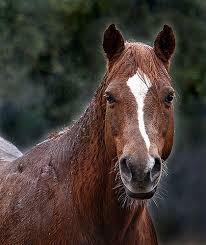 If the work load and climate increases, a horse relies on sweating to control its core temperature. After a period of intensive exercise, sweating is responsible for 90% of a horse’s weight loss, which means an enormous amount of fluid is lost from cells. If the weather starts hotting up, the effect is heightened. The event horse that trains and competes is particularly susceptible to electrolyte deficiency and needs to be monitored closely. It is estimated that for every hour of moderate exercise a day, a horse can lose up to 5 litres of sweat, which equates to roughly 50g of electrolytes. Diet alone can't compensate for these losses. Any time a horse sweats profusely it needs to be re-hydrated, whether it sweats through stress, climate or exertion. When should you feed electrolytes? Electrolyte supplements can stimulate the body’s thirst mechanism, so it is essential that horses drink to avoid ending up more dehydrated. Make sure your horse always has access to fresh, clean water to encourage it to drink. To give your horse time to hydrate itself, electrolytes should be given a few hours prior to training, travel and competition, although they can also be given afterwards. Electrolytes are also effective when given as a daily supplement in feed or water. Although most electrolytes are obtained from daily hay and hard feed, it is often necessary to supplement. If you follow the manufacturer’s guidelines, it is very unlikely that you will overfeed electrolytes to your horse, unless it starts drinking and urinating copiously. If it is drinking lots but only urinating a normal amount, your horse is simply replacing what it has lost. When choosing an electrolyte supplement, look for ones containing easily absorbed chloride and/or acetate combinations, such as sodium, calcium or potassium chloride, or calcium acetate. Try to avoid those containing di-calcium phosphate as these aren’t so readily absorbed in the body.